Platinium/Palladium Process - Platinum remains the king of all photo process, possessing a beauty, depth, and permanence valued by photographers, collectors, and museums. Increasingly, contemporary photographers are turning to platinum to add further value to their work. A method for printing photographs in these precious metals was first patented in 1855 by William Willis, an Englishman. The permanence of silver based prints was suspect, and photographers wanted a process where the image was sure to last. Platinum is an ideal candidate, as it is very permanent. By the turn of the 20th century, platinum had become the favored paper of fine art photographers. However, the metal is very expensive, and by the end of WWII platinum paper was no longer being commercially made. Platinum is a hand-coated, UV light sensitive contact printing process. The final print will be the same size as the negative used. This is due to the low light sensitivity of the medium. Technically, platinum is one of the "iron" printing processes, as a compound called Ferric Oxalate is the light sensitive material. Print exposure times at noon on a clear summer day will be about 6 minutes! This may seem a disadvantage, but it does allow the photographer to make prints in subdued room light, without the need for a darkroom or an enlarger. Why platinum/palladium? Platinum is the more permanent of the two, gives a cooler image tone and better separation in the highlights. Palladium is warmer, and gives better separation in the shadows of the print. Many printers use a combination of the two to reap the benefits of both. In any case, the prints exhibit a very long scale in the mid-tones, possess a feeling of depth (due the fact that the paper has no gelatin overcoat), and are completely archival without the use of fixer or long wash times. The process is very low contrast, meaning that subjects photographed with a seven or even an eight stop range may be printed with detail. In smaller film sizes (120 and 4x5), a negative which yields a full range silver print will work fine. In larger film sizes, the practitioner may want to give an extra stop of exposure, ensuring that the shadow areas of a scene have full detail in the negative. Too much over-exposure is a detriment, as it will cause longer and longer print exposure times. Use of the "Zone System" for exposure and development control is highly recommended. Gear - Although I have never felt that camera gear has anything to do with great images, I must admit that I love great equipment and that I might have GAS (Gear Acquisition Syndrome)! It is...unfortunately incurable. Here are only some of my favorite cameras!! Mamiya 7ii - This amazing camera is without a doubt my new all time favorite. It shoots amazingly sharp images, has big 6x7 negatives, is light, and the metering is spot on.. I just can't say enought about this gem. Noblex - German made unusual medium form camera that has a swing lens. Creates a 50x120mm negative. 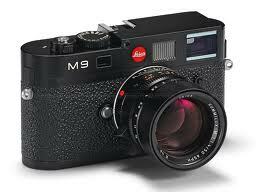 Leica M9 - Best "Film Like" digital camera that I have ever used. 18.5 megapixel full frame sensor. Rolleiflex 80mm F2.8 Planar - Ahhh the romance of the Rollei. Makes me want to sit in a cafe in Paris. A medium format camera that creates square 60 x 60mm negatives. Also, German made. Hasselblad xPan - An amazing and rare 35mm rangefinder camera that can shoot 35mm or panoramic images on the same roll of film. The panoramic negatives are double size resulting in a 24x65mm negative. This camera produces stunning images. My main Medium format camera is the Mamiya RZ. This camera can produce 6x7, 6x6 and 6x4.5 negatives. It shoots both 120 and 220 film magazines and Polaroid as well as Quadra 72 4x5 sheet film backs. It's not light or portable, but the negatives are fantastic.